Blasts Water up to 30 feet! For use in and around the pool. 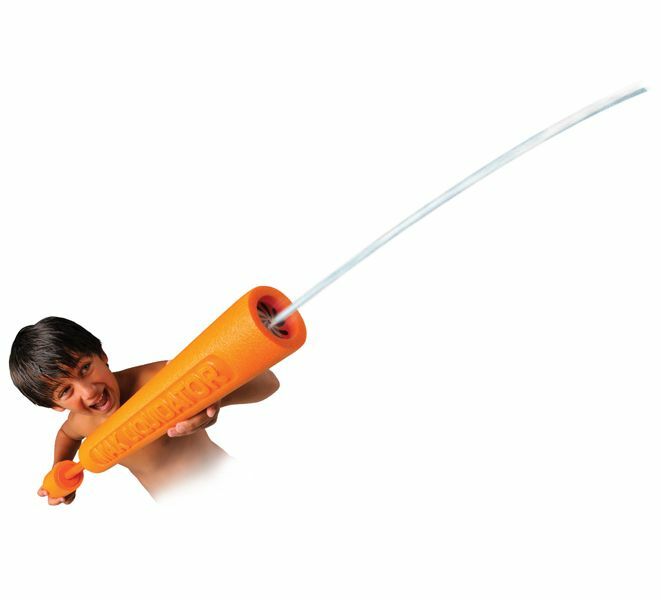 The ultimate water shooter disguised as a foam swim aid! Pull on the back section to load with water and take aim!